Labor-intensive jobs need personal protective equipment (PPE) that protects without hindering performance. When you add in a cold, harsh environment, the gear usually gets bulkier to provide adequate protection from the temperatures. These garments usually hinder performance because they are heavy and restrict movement. Often a decision needs to be made – do we sacrifice performance for total protection, or do we sacrifice protection for better performance? There are pros and cons to each decision. Less protection means increased risk of exposure to dangerously low temperatures. Lower performance means less productivity, and the chance employees will remove protection to increase performance. It is a tough decision. But you no longer have to choose between protection and performance. RefrigiWear’s new PolarForce™ with Performance-Flex jacket and bib overalls give your employees protection down to -40°F without restricting movement. Performance-Flex is also featured on the insulated PolarForce™ sweatshirt for less harsh conditions that still require a larger range of movement. Performance-Flex is an expandable, ribbed design that covers key flex points to allow more movement in PPE. With the ribbed design, it is naturally stretchy and durable, so you don’t have to worry about it wearing down with use. 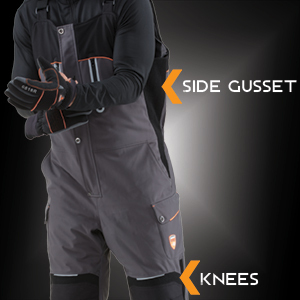 Often with protective apparel, the garments are tight so movement is hindered. 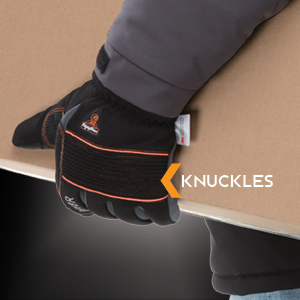 Performance-Flex makes reaching for objects, kneeling, and many other movements easier and more natural while still protecting you from the cold. The result is more range of motion and better performance in a variety of working conditions that require more movement. The unique, ribbed design stretches and expands as you work. Then shrinks back to its original shape and size, maintaining a perfect fit. Currently available on products in our PolarForce™ Collection, Performance-Flex allows your employees to be both protected and productive – without compromise. 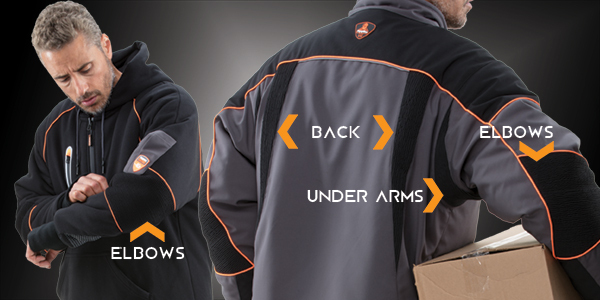 The PolarForce™ Jacket features Performance-Flex on the back, elbows, and under arms, while the Sweatshirt features Performance-Flex on the elbows. This makes reaching, bending and other vital work duties easier. The PolarForce™ Gloves feature Performance-Flex on the knuckles, allowing for a better, tighter grip without resistance.